It’s Spring! 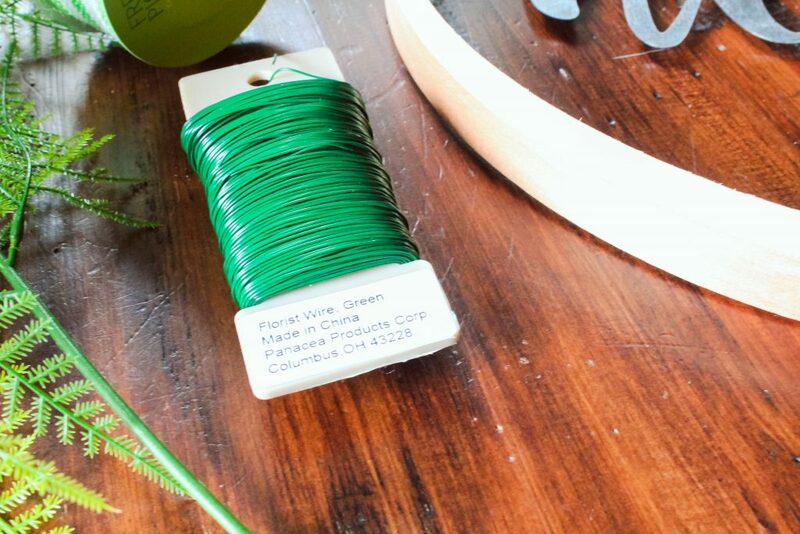 It still doesn’t feel like it here in Michigan, considering we are in our 8th month straight of cold weather, but I’m trying to get into the Spring spirit by brightening up our home with some greenery. 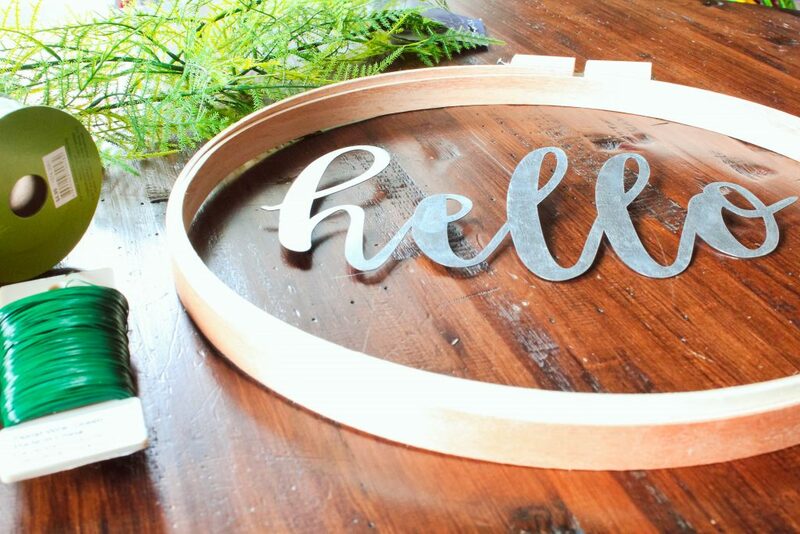 I saw one of these hoop wreaths in a store, and I couldn’t wait to make it myself. 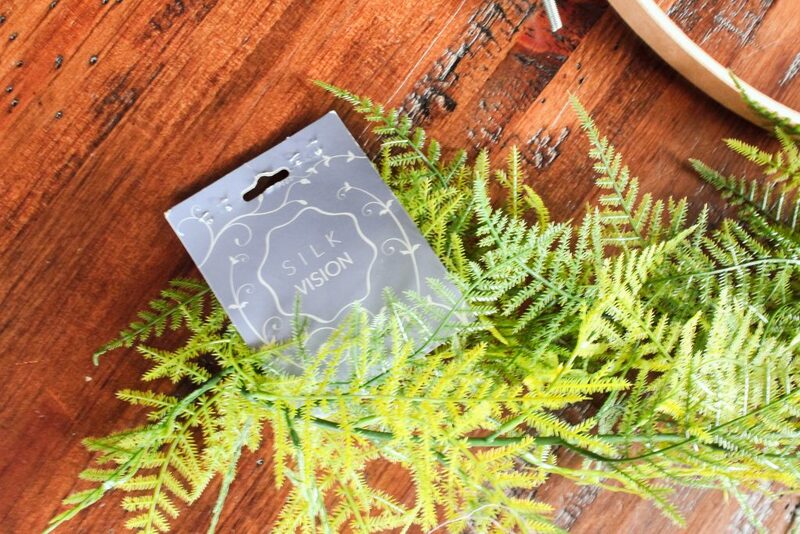 It’s the perfect little DIY – seriously, it’s so simple to make. It took me about 10 minutes tops! I went to my local Joann’s to pick up everything I needed, but Amazon has a few of these items for a couple dollars cheaper. 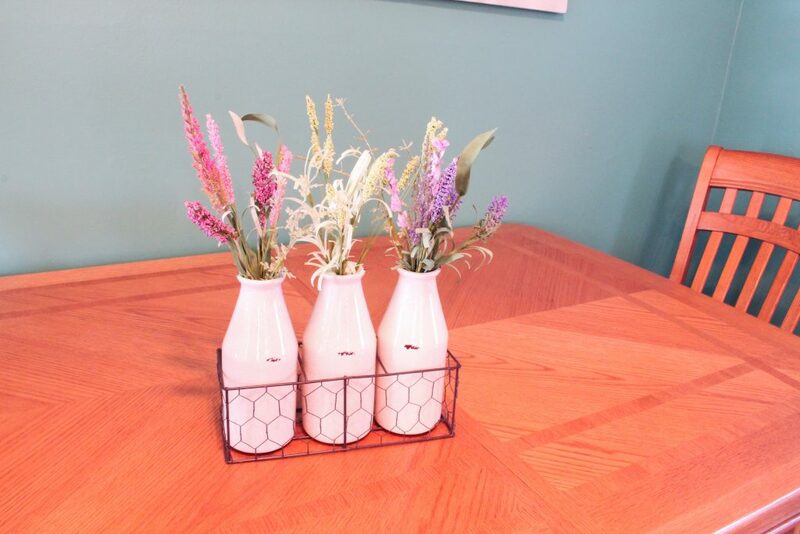 While I was at Joann’s I scored some really cute milk bottles in a rectangular chicken wire container – so cuteeee. I just had to share. I added in some 99 cent flower bundles, they make the perfect centerpiece for our kitchen table. 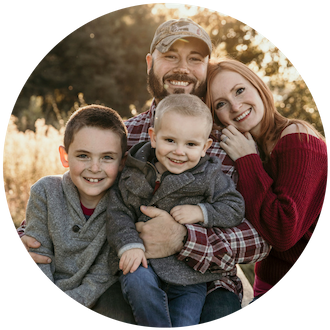 *This post contains affiliate links to support my blog, however all opinions are my own. My materials cost about $25 at Joann after my 20% entire purchase (including sale items) coupons was used in combination with their sale in the greenery and floral department. 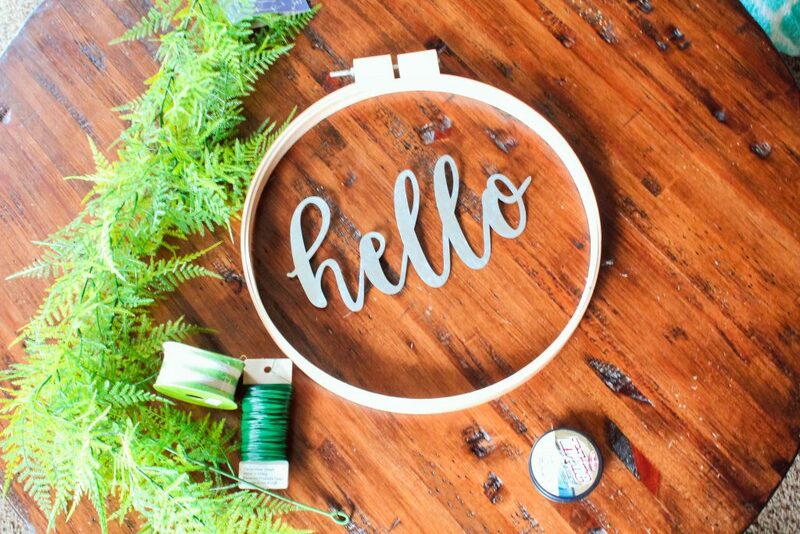 My garland was not on sale (14.99), but my ribbon, floral wire, ‘hello’ sign, and hoop were all on sale at 50% off. The embroidery hoop has an inside circle that pops out, and an outside circle that has a screw and wing nut. 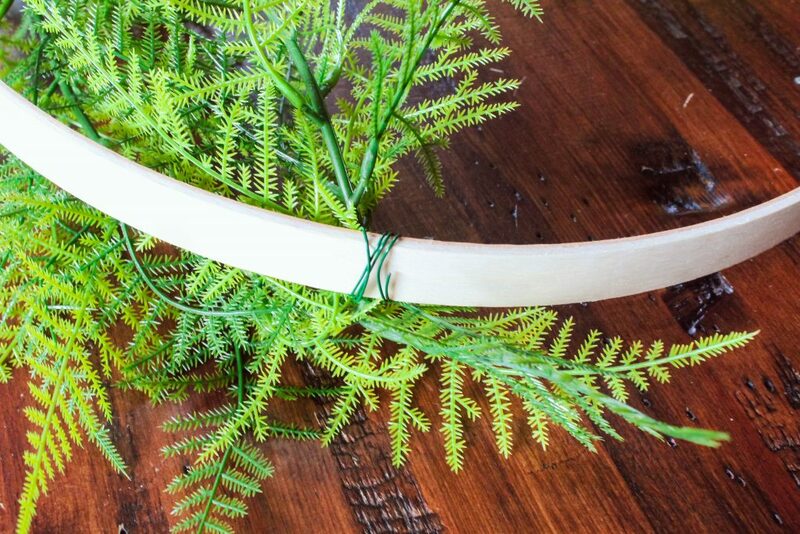 You won’t be using the outside circle, so you can toss it or hula hoop with it, your choice ;). 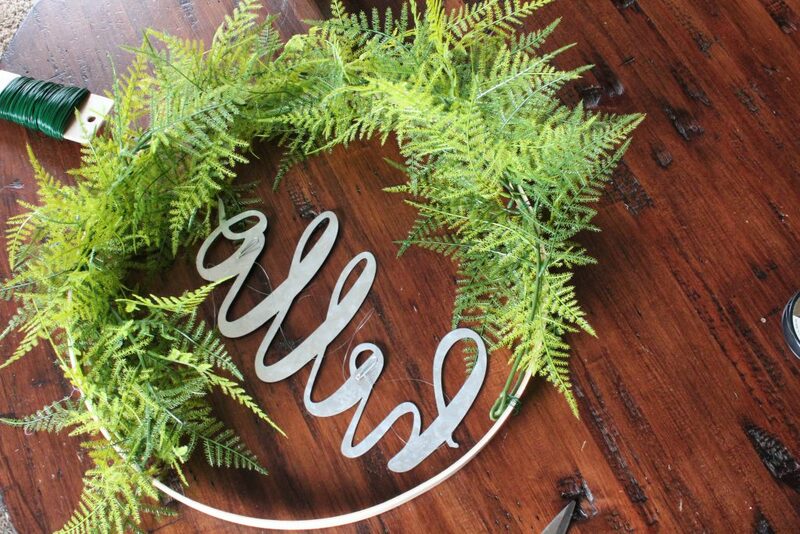 For my wreath, I started off by folding my greenery garland in half, and holding it up against my circle to see where I wanted it to sit. 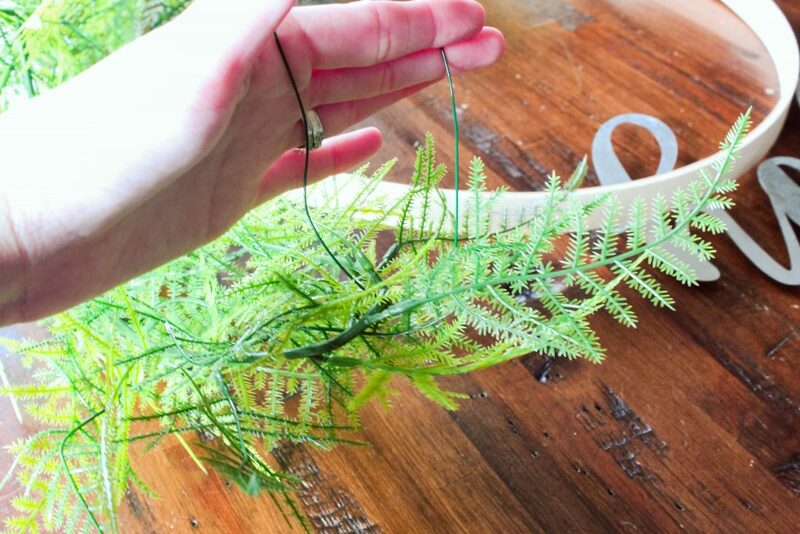 Once I had my ideal placement mapped out visually, I started to bind the greenery to the hoop using green floral wire. 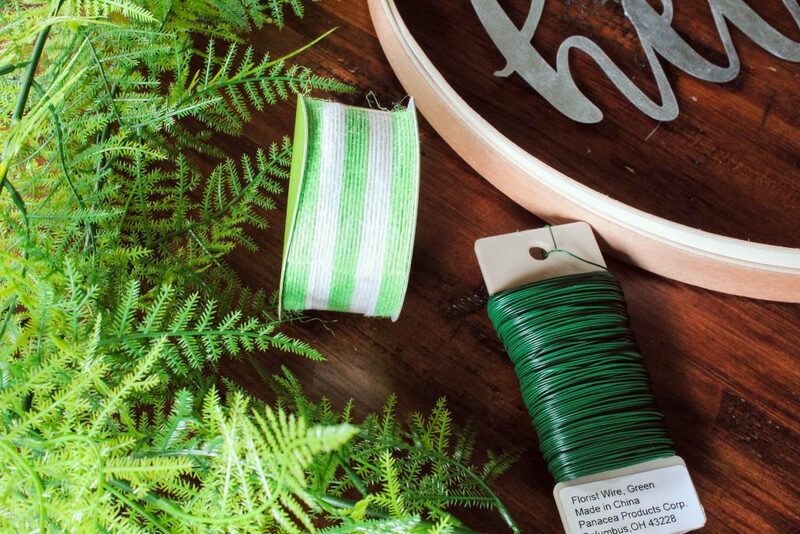 I wanted to cover a little more of my hoop with greenery than the other hoops that I’ve seen, although you can always trim your garland if you think it’s too much and you want a more simplistic look (nothing wrong with that!). 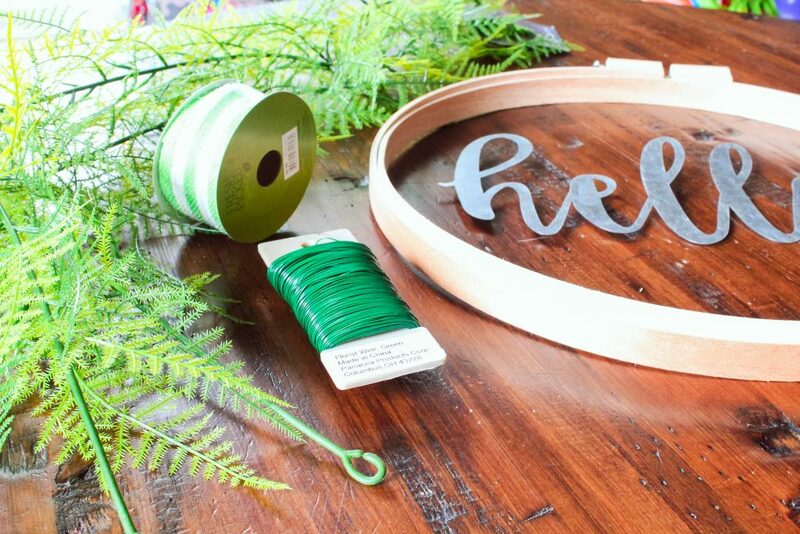 To hang my ‘hello’ sign, I used my husband’s fishing line (we have tons of it in the garage). I first wanted to use the metal hanging loops on the back of the sign, but that made my letters lean forward, so I ended up tying the line within the ‘h’ and ‘o’ letters and secured them to the top of the loop with a knot. I cut off the excess and moved onto the ribbon. 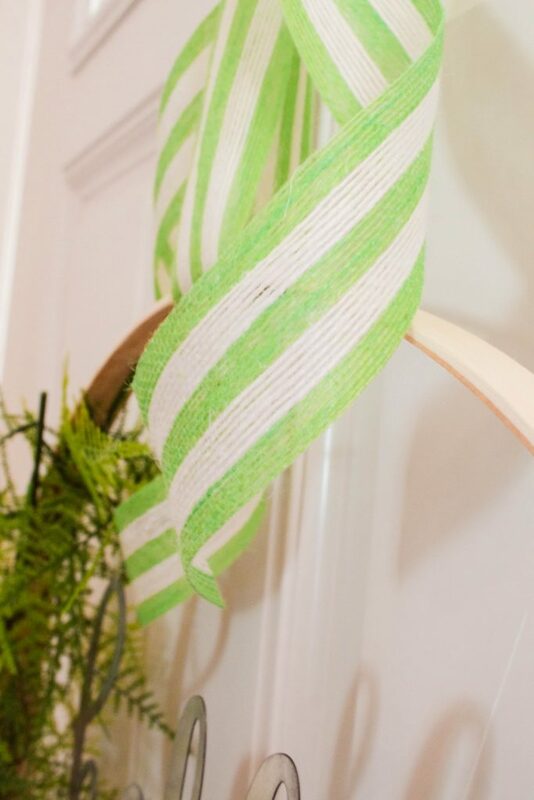 To hang my sign, I used some green and white striped ribbon I found in the floral department (it felt like burlap – but much softer! ), and tied a bow at the top. 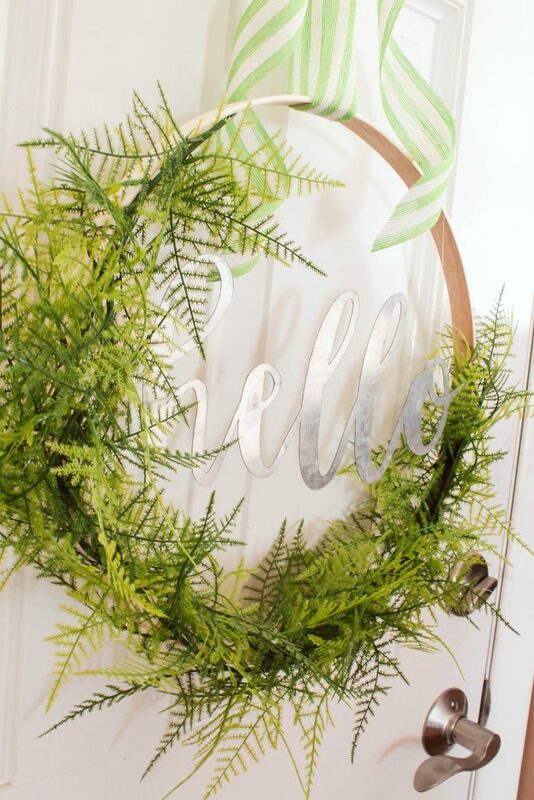 This simple DIY Spring Hoop Wreath was so fun to create! 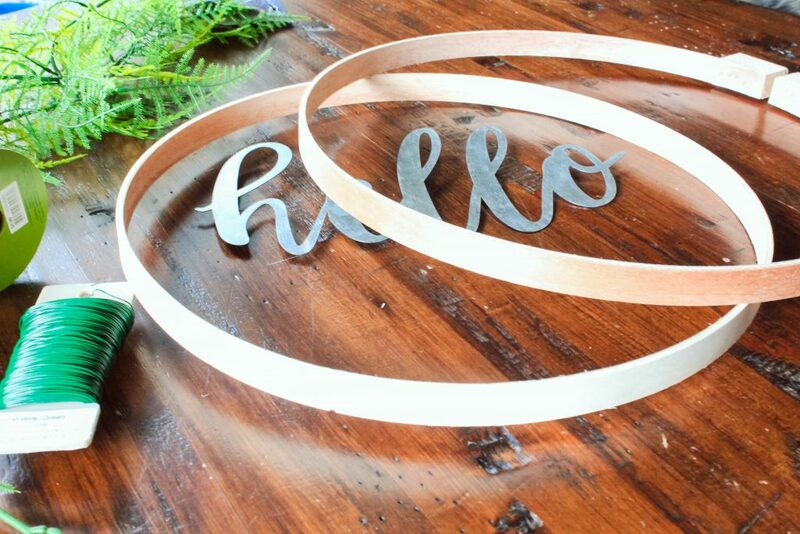 Have you tried to make a hoop wreath before? Tell me in the comments below! 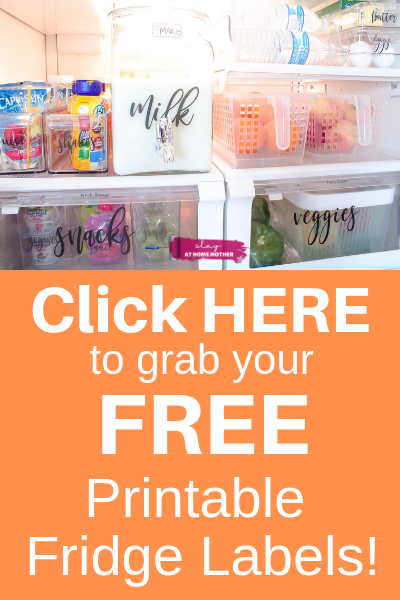 What a cute idea – I love how this turned out! Definitely something I could tackle and I like that it isn’t too expensive either. Aww I totally love this cute crafty idea! 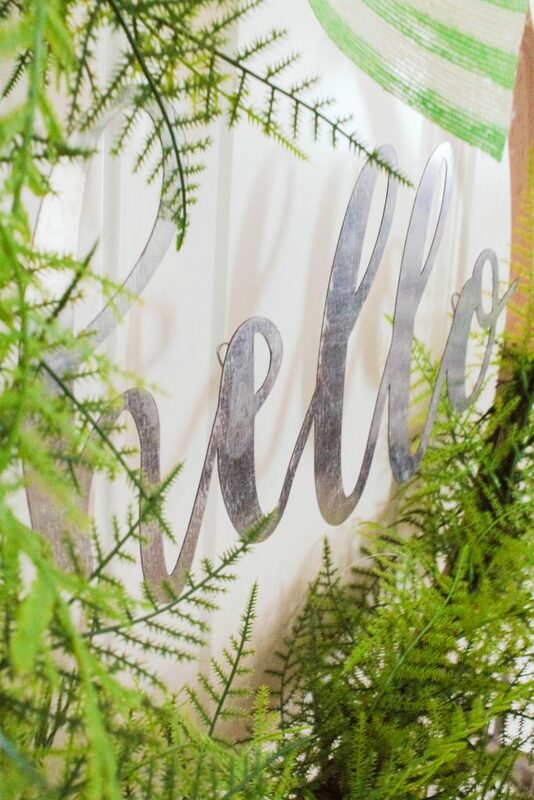 What a fun spring project to add a little bit of springtime to my home! 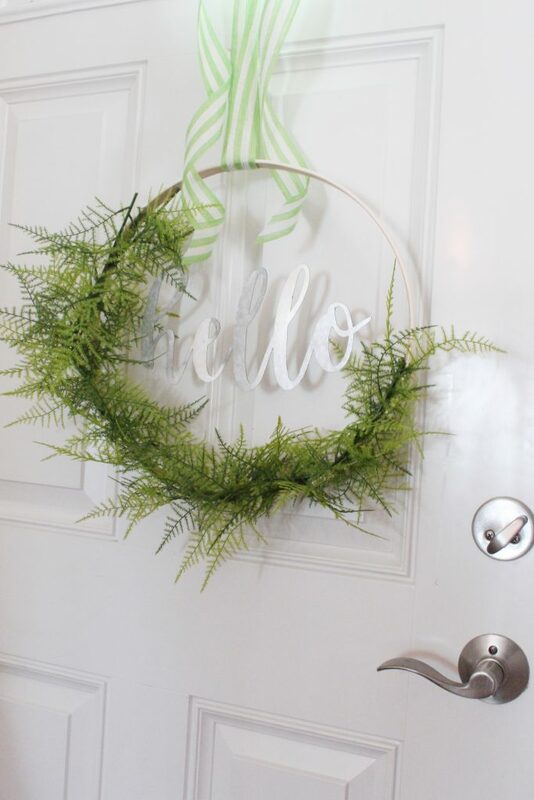 What an adorable wreath! I love how light and airy it is. I’m ready for Spring! This is s pretty! I like how detailed your instructions are too! Wow! you are so creative!! totally think this is absolutely adorable. I wish I could put something like this together!